Franchising 101: What is a Master Franchisee? Should Your Business Have a Car? Everything in Sales is Dead, Long Live Sales and Selling! Why Did I Receive a Payroll Tax Notice? What’s the Difference Between Cash Accounting and Accrual Accounting? How Can You Tell if Your Customers’ Data is Safe? Local Business Owner: Do You Know Who Your Website Visitors Are? What is Uptime and How Do You Track It? 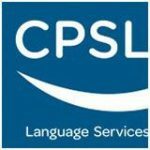 CPSL is a group of private companies that has been operating in the language services sector since 1963. The group is made up of Barcelona-based Celer Pawlowsky S.L., the parent company, CPSL Documentation & Tools in Ludwigsburg, operating in the Stuttgart area in Germany, and CPSL USA Corporation, located in Boston in the United States. Follow @_CPSL on Twitter. Small Biz Club is the premier destination for small business owners and entrepreneurs. To succeed in business, you have to constantly learn about new things, evaluate what you’re doing, and look for ways to improve—that’s what we’re here to help you do.